California's investment in UC's research mission attracts federal funds, launches companies, and trains the next generation of scientists and scholars. 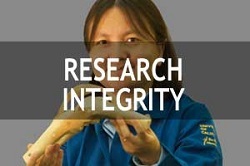 UCR's increasing research funding stimulates every facet of the campus mission to educate, discover new knowledge, and disseminate findings to benefit the public. 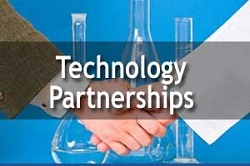 Negotiate multi-faceted R&D partnerships with established companies. Grow a regional innovation ecosystem with the commercial sector and federal, state, county and city governments. 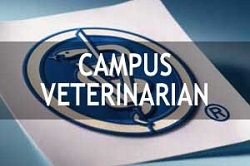 Promote highest standards of research excellence and ensure compliance with federal and state regulations. 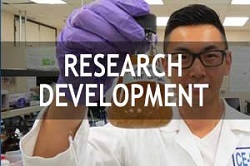 Research on sleep for improved productivity; biomemetic materials; drug discovery including kidney disease and brain cancer; new strategies for education, special education, and undergraduate STEM retention; cultivating creative writers; contributing new ideas for public policy; improving air quality; and understanding and prevention of disease. 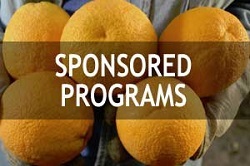 Still a leader in agricultural science, UCR is devising methods to increase food quantity and quality, including breeding new crops such as the Tango citrus, drought tolerant legumes, and submergent tolerant rice.